Emergency Dentistry Los Angeles, Beverly Hills, CA | Smile Angels of Beverly Hills - Bruce Vafa DDS. Bruce Vafa, D.D.S. provides dental services at Smile Angels of Beverly Hills, Calif., at a state-of-the-art facility. Patients can call to schedule routine cleanings and examinations that are designed to prevent halitosis, cavities and gingivitis. Adults dental emergency and children dental emergency procedures are also available at anytime in order to save teeth and prevent discomfort. When an emergency such as a dislocated tooth occurs, he urges patients to remember that Smile Angels offers dental emergency services for adults and children. A tooth knocked out due to a vehicle accident or sport injury requires immediate attention. 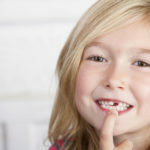 Patients should place the dislocated tooth in a damp cloth or cup of lukewarm water, before bringing it to Smile Angels. After arriving at Smile Angels, Dr. Bruce Vafa prepares to reinsert the dislodged tooth by cleaning it gently to remove debris. Because patients receive medical imaging tests in previous visits, he can see how the tooth is angled in the gum tissue to provide the most effective treatment. A patient’s mouth is prepped with rubber devices to collect saliva and blood as the tooth is reinserted and stabilized. To keep the tooth in position, it is attached with wires to other teeth. With fast treatment, the nerves, blood vessels and roots of the tooth revive to keep the pulp alive. Over the next few weeks, the patient requires several visits to ensure the tooth is establishing blood flow while reattaching to the gum tissue. Additional adult and children emergency surgeries are available at Smile Angels of Beverly Hills, including root canals and dental crowns. If the top of a tooth is damaged seriously due to decay or accidental damage, then one of these procedures is necessary. Root canals require Bruce Vafa D.D.S. to drill into a tooth to remove its interior structures, such as nerves and blood vessels. Patients receive general and local anesthesia during these dental procedure to avoid discomfort. After the interior of the infected tooth is removed, it is cleaned to remove bacteria before it is filled with a hard and durable substance to provide a strong biting surface. To protect the top of the tooth while providing an aesthetically pleasing appearance, a custom-made crown in a color matching composite material is made. This dental crown is placed over the tooth to give a patient a natural and beautiful smile. A dental emergency can be just as scary as any other kind of emergency, which is why our expert in emergency dentistry in Beverly Hills, in heart of Los Angeles, offers emergency dental services that can get your pain under control, reduce the risk of long-term problems and stabilize your dental health. We are always just a phone call away and are committed to ensuring that you have access to the care you need when you need it. 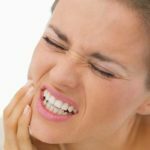 Tooth pain is a common cause for emergency dental calls. 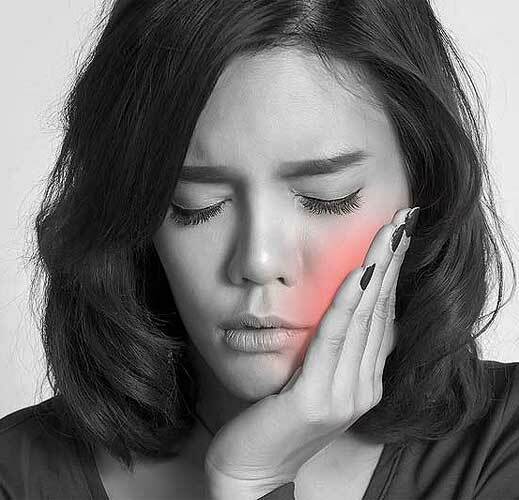 If you have a toothache, we recommend using dental floss to dislodge any debris and rinsing vigorously with warm water may ease the pain and inflammation, but if the pain continues, we can help. Our Beverly Hills emergency dentistry expert can determine if the tooth has a cavity, an infection, abscess, or other issue that requires prompt attention, and we will provide you with the care you need to restore comfort and function to the tooth. Another common dental emergency is an avulsed tooth. 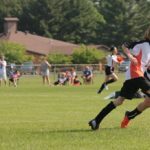 Teeth can be knocked out during athletic activities, car accidents or other traumatic injuries. An avulsed tooth is a dental emergency and requires prompt care, which may be able to save the tooth. Avoid touching the root of the tooth, rinse away any debris and try to put the tooth in a cup of milk, your own saliva, or between your cheek and gums. Our expert in emergency dentistry in Beverly Hills, in heart of Los Angeles, may be able to replace the tooth in its socket. In some cases, the tooth may not be able to be saved. We can then advise you on the best appropriate restoration options that can keep your smile intact, healthy and attractive. You can reduce your risk of dental emergencies and an unwanted visit to our Beverly Hills emergency dentistry expert by taking a few precautions. Good dental hygiene every day and good dental habits that include not using your teeth as tools, avoiding nail biting and other tooth-damaging habits and wearing a mouthguard during contact sports and other high-risk activities can help protect your smile. Contact our Beverly Hills dentist today to find out more or to schedule your appointment. Call us at (424) 253-5152 for your emergency dental care needs.